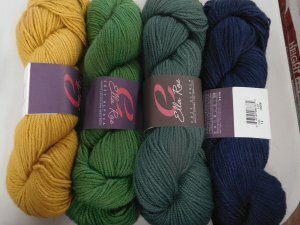 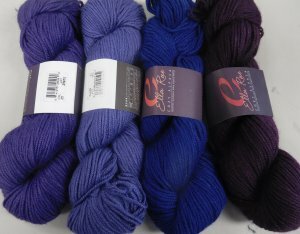 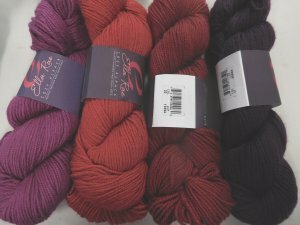 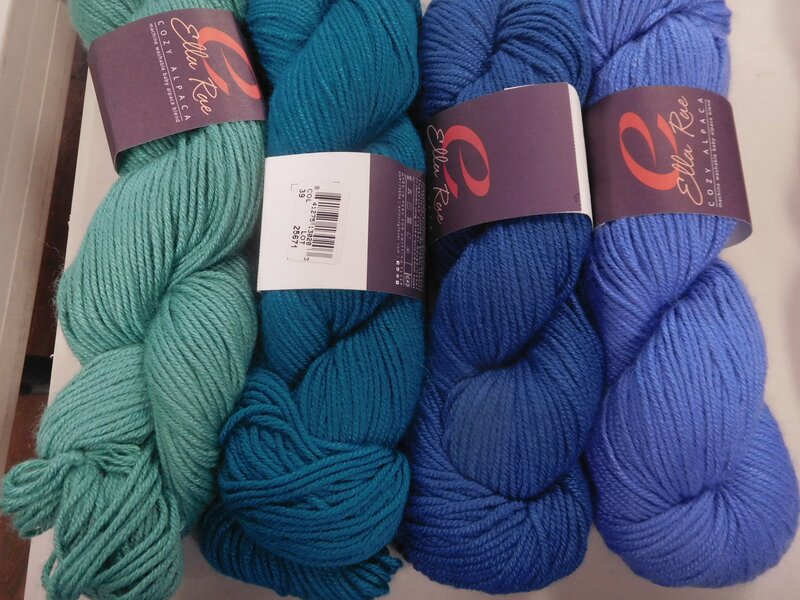 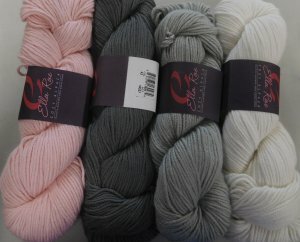 This lovely yarn is 70% acyrylic and 30% baby alpaca and is machine washable. 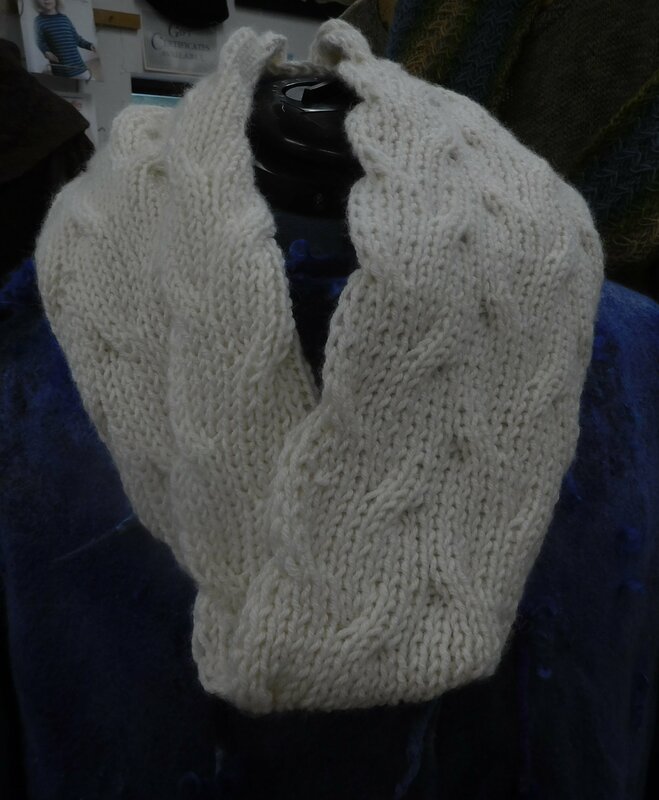 The cowl uses 2 skeins and is knit on a US 8 -9. It is a simple reversible cable so it looks the same on both sides.